Explore the wonderful world of cheese making. 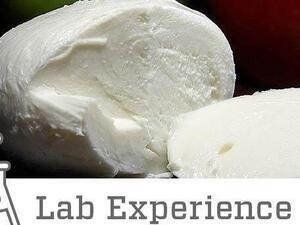 Learn the art and science of making cow’s milk fresh mozzarella cheese in this class. Participants will sample a variety of cheeses, make their own mozzarella and learn about several types of fresh cheeses to make at home. Recommended for ages eight and up with an adult, 14 and up without. Each ticket is per a one-pound batch of cheese, up to three people per ticket. General admission is not included in the price of the ticket.